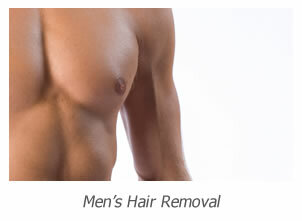 The Hair Removal Experts use the Cynosure Elite Aesthetic Workstation due to its fantastic reputation for permanent hair removal on all skin types. The Elite quite simply removes unwanted hair more efficiently than its competitors, using its revolutionary technology of two optimal wavelengths in the one workstation, the 1064nm Nd:yag laser and the 755nm Alexandrite laser. The workstation has the ability to deliver high power from large spot sizes resulting in deeper penetration, fast treatment times and the best results. 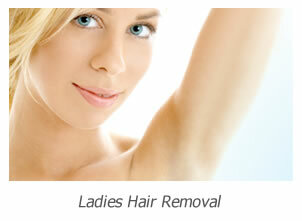 This means all our clients clients receive treatments that are tailored to their particular skin type. If they have darker or tanned skin they will be treated using the 1064nm wavelength, lighter skin they will be treated with the 755nm wavelength. The Cynosure Elite Aesthetic Workstation allows us to choose the exact settings that are best for our clients, the power, the pulse duration and the spot size, ensuring our clients always receive the optimal treatment. We are so confident that our clients will be impressed by the results and return for further treatments that we offer our best prices on a treatment by treatment basis. 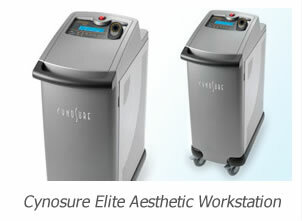 Cynosure Elite Aesthetic Workstation Consultation, Call 020 8787 5833 to talk to a consultant and receive a personal quotation.